MIVC Techncian Monique is a Veterinary Technician Specialist in Behavior with over 20 years of clinical experience. 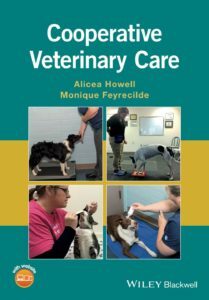 Her passion for patient welfare and the human-animal bond have inspired her to teach families and veterinary teams how to use tools like desensitization, classical conditioning, classical counterconditioning, operant conditioning, and more to teach pets how to be willing partners in their own veterinary care. Does your pet fear veterinary procedures? Is he or she hyper or difficult to handle at the veterinary clinic? Trouble cutting toenails and brushing teeth or cleaning ears at home? We can help. Schedule a Cooperative Veterinary Care appointment with Monique today to help set you and your pet up for successful veterinary care and grooming in the future. 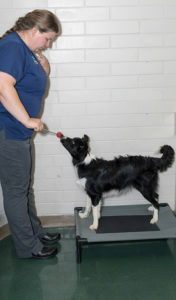 Group classes are also available at Seattle Agility Center in Maple Valley, WA.